The problems of representation are very different in Mexico than the U.S. We have more of a class problem than a race problem. In all the telenovelas the good girl is blonde and the bad guy is more indigenous looking. With film, I think we’ve been better about telling stories about different classes. Alfonso Cuaron did an amazing job with “Roma” showing the world from the lead character’s point of view, for example. In the U.S. however, we have a problem with diversity that is even more complicated. With LatinX characters, we all know the stereotypical representation problems — that we are always shown as gang members or drug dealers or illegal immigrants. We haven’t historically had our own shows or movies or at least not enough of them to represent us in all our different colors, shapes and sizes. As an actor, I’m trying to play roles that break those stereotypes. I’ve played a doctor and a scientist. I’m playing a billionaire. Even when I played that stereotypical Latin Lover, the whole idea was to destroy the stereotype through humor. As a production company, we are pushing very hard in television to find new ways to represent LatinX characters. We have a bunch of shows set up. They all break stereotypes and explore LatinX characters in various contexts and worlds. They will provide the opportunity to put our actors into new kinds of roles. We are also working with a ton of writers, directors, and showrunners who are all LatinX or from Latin America to give a new perspective. I had the pleasure of interviewing actor, writer, director, and producer Eugenio Derbez. He is one of the most influential creative forces in Latin America, and one of the most recognized actors in the Latinx community in the U.S. With recent successes in features, Derbez has become an international star. Leading US entertainment publications have named Derbez as the #1 most influential Hispanic male in the world, and he has been named the #1 social media influencer in Mexico for the previous two years due to his more than 36 million followers across all social media. Derbez most recently starred with Anna Faris in MGM / Lionsgate’s remake of the classic romantic comedy “Overboard.” The movie made nearly $95 million in box office worldwide. Derbez produced the movie through his banner, 3Pas Studios. With the success of his previous movie, Lionsgate distributed “How to Be a Latin Lover” starring Salma Hayek, Rob Lowe, Kristen Bell, Raquel Welch, which Derbez also produced. Prior to that, his breakout success, the Spanish language dramedy, “Instructions Not Included” qualified Derbez as a bonafide movie star. “Instructions Not Included”, which he not only directed but also co-wrote, became the most successful Spanish-language film ever in the U.S. and worldwide, and broke numerous box office records, grossing over $100 million. As a producer, Derbez’ 3Pas Studios has a deep slate of movies and television shows including “Y Como Es El” (What’s He Like?) starring Omar Chaparro and Mauricio Ochmann, currently in post-production. On the television side, 3Pas just produced the first season of a comedy reality competition show “LOL: Last One Laughing”, hosted by Derbez, for Amazon. The series was just picked up for a second season. They have set up projects at ABC, NBC, Hulu, Amazon, Starz, FX, Apple, E!, Pantaya and more across all genres of television. 3Pas has a first-look deal in both TV and Film with Lionsgate for English and Spanish-language content. Derbez can next be seen in Paramount’s, “Dora the Explorer”, starring Eva Longoria, Michael Peña, and Isabel Moner, directed by James Bobin. Derbez is also an executive producer. Derbez co-starred in Disney’s “The Nutcracker and the Four Realms” with Helen Mirren, Keira Knightly and Morgan Freeman, directed by Lasse Hallström. He also starred in “Miracles from Heaven” with Jennifer Garner, Kyle Rogers, Martin Henderson, and Queen Latifah, directed by Patricia Riggen. For over two decades, the TV shows he created and in which he starred — “La Familia P. Luche” and “XHDRBZ” — have become part of the popular culture both in Mexico and the U.S. through the LatinX television network, Univision. His hosting duties on the Latin Grammys and the FIFA World Cup have drawn huge global audiences. 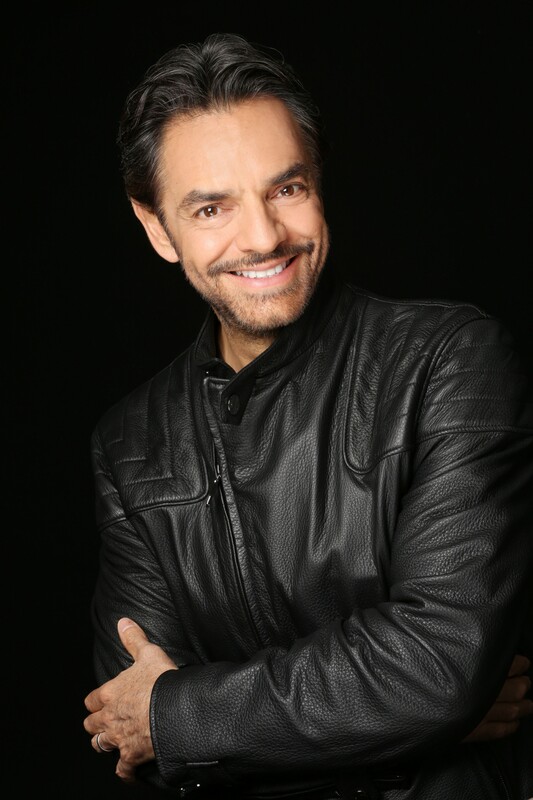 Derbez has been a staple of Univision’s event television broadcasts hosting the Latin Grammys multiple times, where his work as a host has helped the network draw tens of millions of viewers around the world. And, as a testament to his popularity and contributions to the arts in both languages, Derbez was awarded a star on the Hollywood Walk of Fame at 7013 Hollywood Boulevard in Hollywood, California on March 10, 2016. As an actor, my dream was always to come to Hollywood. But no matter how close Mexico is to Los Angeles, it’s so far away for us. I had a great career in Mexico and got to do everything I wanted to, star in movies and TV shows, direct, write and produce. But at some point, I lost sight of my dream. And then my mom died, and she was a big influence on me. It made me re-establish my dream. I eventually ended up on Broadway in a play and then appeared on a short-lived CBS TV show. But ironically, it was when I went back to Mexico and wrote, directed and starred in my movie INSTRUCTIONS NOT INCLUDED, that Hollywood took notice. The movie was a small independent film, but it made almost $100 million dollars between the U.S. and Latin America. Suddenly Hollywood really took notice and realized there was an opportunity for LatinX movies. I opened a production company with my producer Ben Odell who is a gringo that knows both Hollywood and my market. We started focusing on making movies for me and also developing TV and movies with LatinX characters to give the chance to new faces and new talent. I have also started getting more offers to be in American movies. I’m open to the opportunities that come but also know that we have to create our own opportunities. The most interesting story, probably, was when I went to the U.S. for an acting job. The first time I tried to do that crossover was in 2003-ish and I started coming to LA to perform in a small theater. I was trying to break into the general market since 2003 and in 2005, finally, a big agency signed me. I was with them for quite a few years, but they were never able to get me to work. I think they just didn’t understand that an actor who works in Spanish can have a significant audience in the U.S. It was a different time. I think that’s starting to change a bit now. But one day I received a call to my office in Mexico, and they said that they wanted me to fly to LA for an Adam Sandler movie. I was a little confused as I didn’t know who was calling; was it my agents? No, it was a direct called from Sandler’s office. I thought it was weird, but it didn’t matter, I thought, I’m just going to do it. His team sent the sides, I flew to LA and went to the Sony lot. I was at the studio by myself, waiting, at the reception of his office for a casting director or an assistant to come to pick me up. But they said Adam Sandler wanted to speak to me first. The problems of representation are very different in Mexico than the U.S. We have more of a class problem than a race problem. In all the telenovelas the good girl is blonde and the bad guy is more indigenous looking. With film, I think we’ve been better about telling stories about different classes. Alfonso Cuaron did an amazing job with “Roma” showing the world from the lead character’s point of view, for example. In the U.S. however, we have a problem with diversity that is even more complicated. With LatinX characters, we all know the stereotypical representation problems — that we are always shown as gang members or drug dealers or illegal immigrants. We haven’t historically had our own shows or movies or at least not enough of them to represent us in all our different colors, shapes and sizes. As an actor, I’m trying to play roles that break those stereotypes. I’ve played a doctor and a scientist. I’m playing a billionaire. Even when I played that stereotypical Latin Lover, the whole idea was to destroy the stereotype through humor. As a production company, we are pushing very hard in television to find new ways to represent LatinX characters. We have a bunch of shows set up. They all break stereotypes and explore LatinX characters in various contexts and worlds. They will provide the opportunity to put our actors into new kinds of roles. We are also working with a ton of writers, directors, and showrunners who are all LatinX or from Latin America to give a new perspective. I could tell a million stories. People come up to me all the time. When we decided to remake “Overboard”, we knew we would make a lot of people angry who loved the original film or accuse us of not having our own ideas. But the truth is there were important reasons why we wanted to make it. First off, we decided to flip the roles and it immediately turned everything on its head — here you have this rich Mexican who ends up falling in love with this poor white woman. There is a very funny scene where the Mexican family comes to see where I’m living and they are so uncomfortable around this working-class white family. That was something my audiences had never seen and they bring it up all the time — thank you for showing the world something different. The other reason is that “Overboard” was made at a time when you didn’t see many romantic comedies with people of color and we thought it was interesting to take that movie and give it a twist. We thought it would make people sit up and take notice. And it really worked. In general, I think my fans feel very invested in my success because they know they put me there. They feel like they are a success, too. And they are my foundation because I wouldn’t be there without them. I got to present an Oscar last year but it wasn’t because I had been nominated for an Oscar. It was because my fans go to my movies and put me on Hollywood’s radar. I owe them everything.